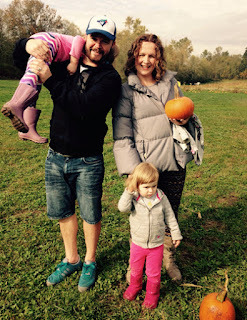 urbanbaby&toddler magazine: It's Pumpkin Patch Time! 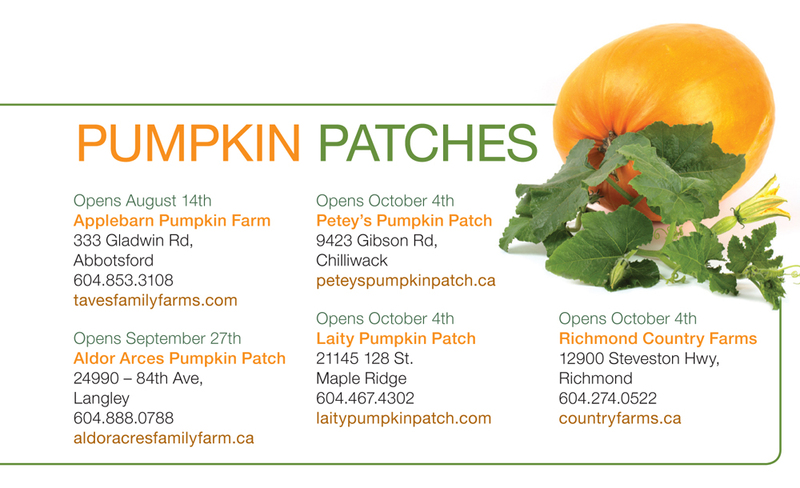 The Hazelmere Pumpkin Patch, located at 18507 20th avenue in Surrey, is a family owned and operated pumpkin patch filled with fun activities for everyone! Hazelmere pumpkin patch has acres of bright orange U-pick pumpkins and gourds. Be sure to board the tractor-pulled hayride which takes you around the farm, past ponds and old farm equipment, to an exciting mini-corn maze! Once through the maze, you’ll step out into the pumpkin patch where you can select your favorite pumpkin to take home! Be sure to check out the petting zoo and baby bunny zone, and meet Charm, the farm’s resident baby llama. If you’re hungry or thirsty, there is a concession, and if you’re feeling adventurous, there is a life-size fire truck to climb on and an old boat hull that has been equipped with a slide for the children to play on. Hazelmere pumpkin patch is fun for the whole family – be sure to check it out this fall season! They are open every weekend in October, 10am to 5pm, adding in weekdays from Oct 15 – 31st from 3pm – 5:30pm. Admission is $4 per person, which includes all activities. Pumpkins and concession are extra, and they accept cash only.